Kristen and Tyler are two of the most genuinely kind people I’ve had the pleasure of working with. Throughout their entire wedding day, I can’t tell you how many times I saw them sincerely thank people for being at their wedding, not to mention how many times they both asked me how I was doing and thanked me for photographing their wedding. The thing about being a kind person is that you tend to surround yourself with kind people. Kristen and Tyler’s friends and family were some of the most enjoyable people to be around. The day was one of those perfect autumn Colorado days. 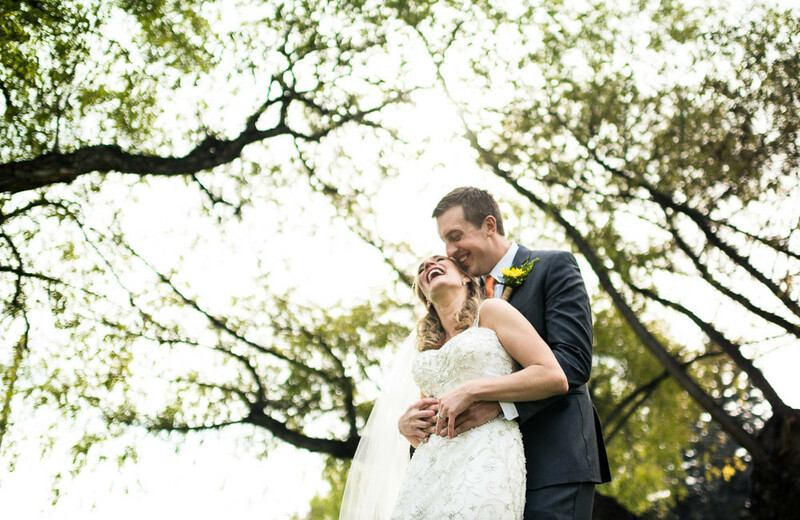 There was a very slight chill in the air, but the sun was warm and felt great on your skin… perfect for an outdoor ceremony. With a view of Longs Peak and the foothills, guests listened to Tyler and a few friends sing and play guitars before everything got started. After the ceremony, people sipped beer, wine and cider that Kristen and Tyler brewed just for their wedding. All of the centerpieces were aspen branches from Tyler’s hometown of Gold Hill, CO. They even sang and recorded the song for their first dance! I know you said it quite a few times to me, but I want to say it back… thank you Kristen and Tyler for having me along to photograph your big day. It was truly a wonderful experience!